Nothing makes a tea gathering more memorable than tea party favors. These special momentos serve as wonderful keepsakes that can be presented to guests at the end of tea parties as a way of saying thank them for coming. The type of small gift most appropriate for tea parties will depend on the party’s theme, as well as the host’s budget and tastes. Whether your tea party theme is elegant, exotic, or playful, you can find or make party favors that suit any ambience. The colors of your party favors can be coordinated with the colors of party invitations and decorations. For party givers who don’t have time to craft homemade favors, there are a variety of ready-made party favors from which to choose. For example, scented soap and candles are a long time party favorite. Soap and candles come in a variety of colors, shapes, and scents to match a variety of different party themes. Other quick and easy party favors include giving quality loose leaf teas, gourmet sweets or a small potted plant. 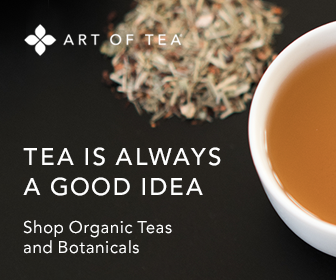 Tea is always a thoughtful and appropriate gift for attendees who are tea lovers. Small potted plants are an ideal party favor for garden and outdoor tea parties. Cookies and candy in cute little bags and boxes are suitable for just about any party theme. A personalized favor that features the guest’s name, the party date, and a special message can be a heartwarming and memorable keepsake. For an extra special touch, the party host can give each guest a personalized photo frame engraved with the date of the party and the guest's name. Personalized tea tins are also a memorable party favor. A small and charming tea tin filled with delicious tea blends can be personalized with a glitter pen or stickers. Another fun idea is to have guests make their own party favors, including beaded bracelets, friendship bracelets, photo frames, tea trays, and Victorian fans. Creating or handing out party favors at tea parties is a great way to connect with guests and thank them for coming. Party favors become keepsakes that guests cherish for years to come.